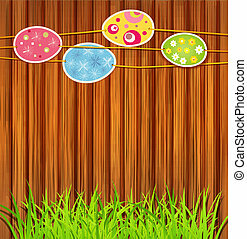 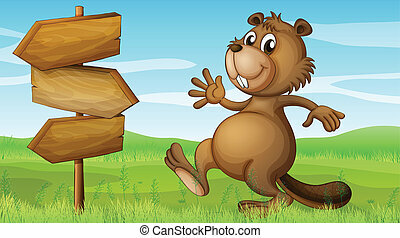 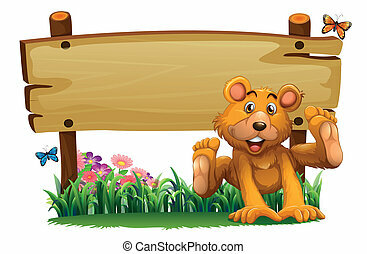 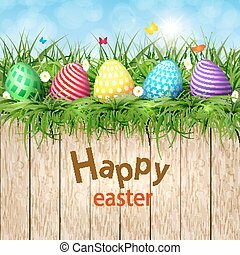 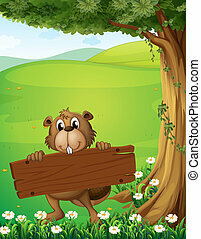 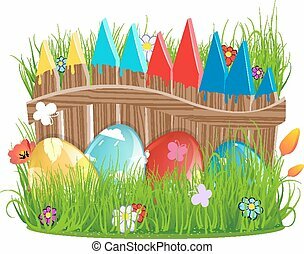 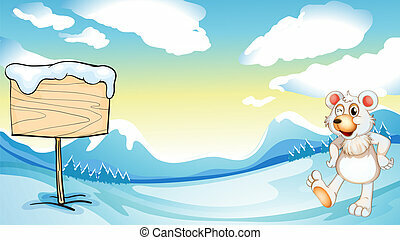 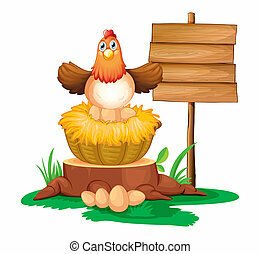 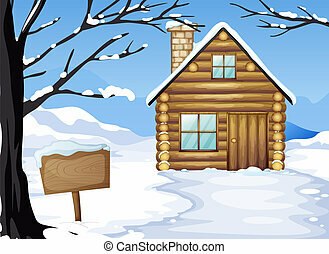 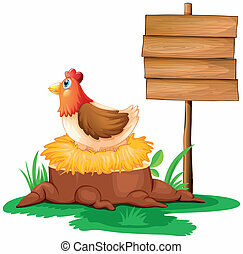 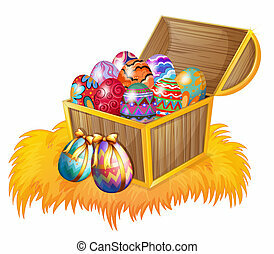 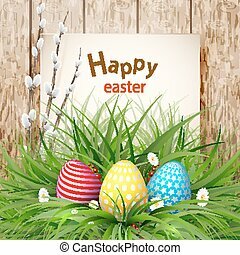 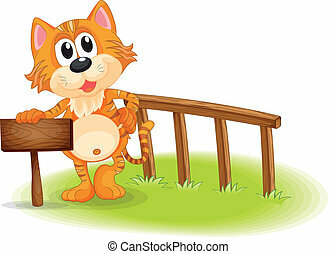 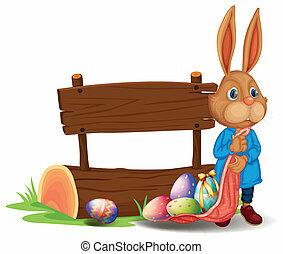 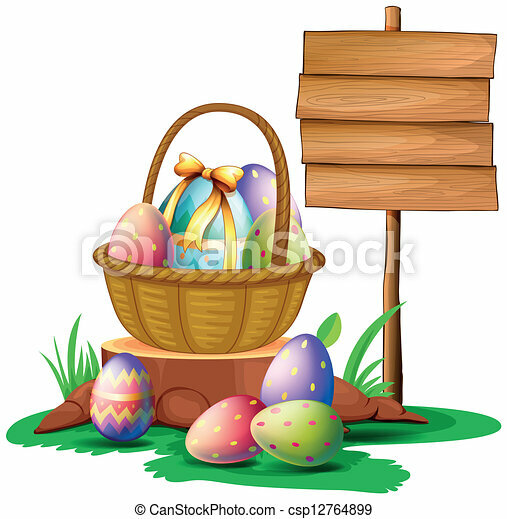 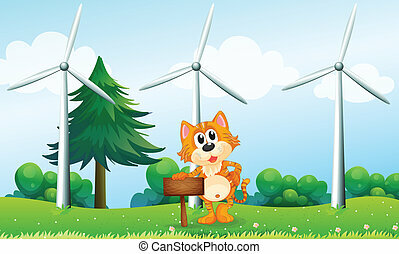 Illustration of easter eggs near a wooden signboard on a white background. 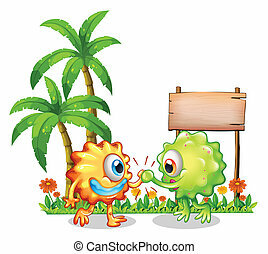 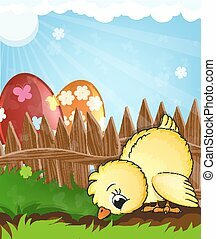 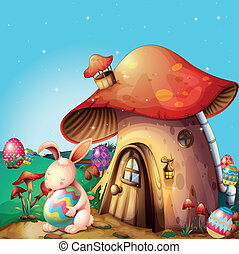 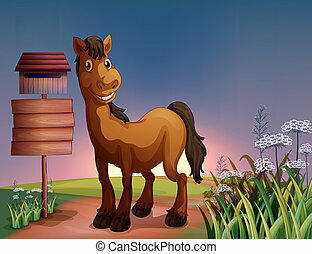 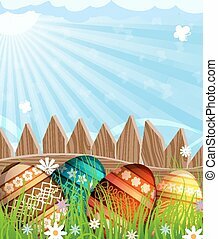 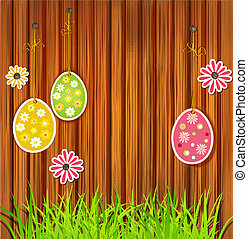 Golden Easter eggs on a wooden background vector illustration. 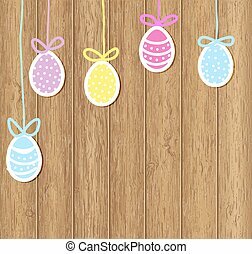 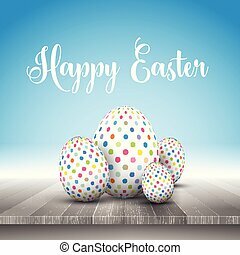 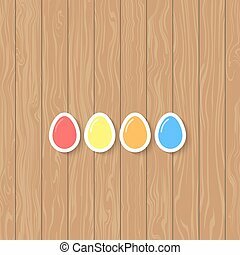 Easter eggs on a wooden background. 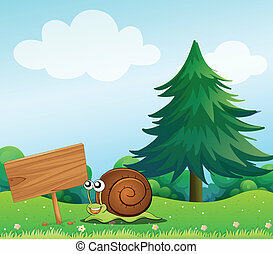 Vector illustration . 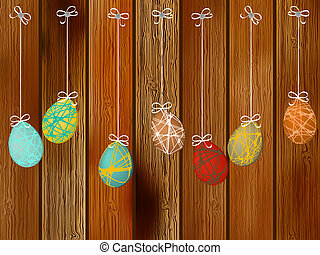 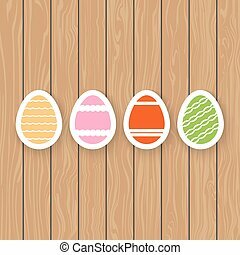 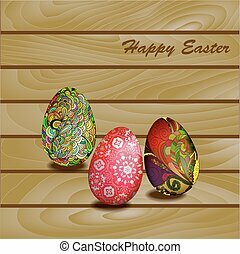 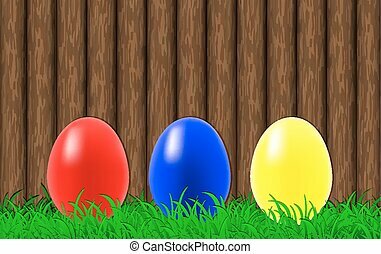 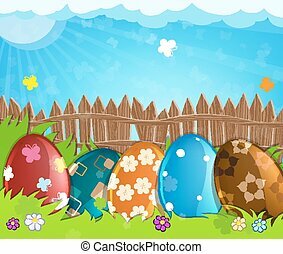 Easter eggs of different colors on a wooden background.